Harry Stowers was the co-founder of Stowers Machinery Corporation, the Caterpillar dealer of East Tennessee, which he began with his brothers in 1960. After managing the company’s Chattanooga operations, he moved to Knoxville in 1982 where he gave generously of his time and talents to the community, his family and his friends. One of Harry’s major passions while living in Knoxville was The Helen Ross McNabb Center where he was actively involved in every major fundraising effort for The Center from 1987 until his death. 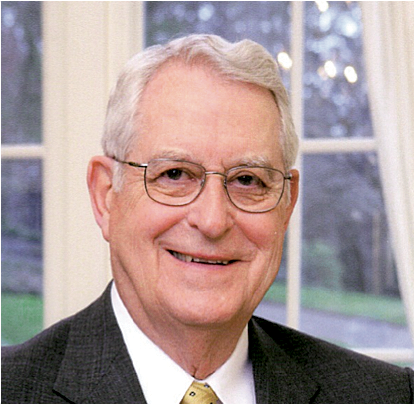 He served as Executive Chairman of The Helen Ross McNabb Foundations Board in 1994-95. In 2007, he was the recipient of the prestigious Helen Ross McNabb Spirit Award. A tireless supporter of all programs at The Center, Harry was particularly drawn to the programs for at-risk children. A great sports enthusiast, Harry played basketball at Lehigh University and was an avid tennis player and fan throughout his life. Harry Stowers was well-known for his kindness, generosity, integrity and humble spirit. Surviving Harry are his wife, Sarah Hobson Stowers who is continuing Harry’s legacy of philanthropy, his children Harry (Wes) Stowers, Jr., Stewart F. Stowers, MD, Jenny Stowers Brock and eight grandchildren.